Great dental health is one of the most important facets of excellent overall health. Explore the following links for information on dental care tips and treatments that will help you get a gorgeous smile. For help maintaining good oral health, and for cosmetic dentistry treatments that will have you smiling widely, contact Park 56 Dental . Our caring team of top NYC dentists is committed to keeping your smile healthy and beautiful. Call us today at (212) 826-2322 to book a consultation. This comparison chart from the Invisalign website shows the advantages of Invisalign over traditional braces. If you are missing teeth, dental implants could be the key to restoring your naturally beautiful smile. The American Dental Association offers further information on this restoration option. If you have anxiety about dental trips, find out how sedation dentistry offered by Park 56 Dental Group can make your exams comfortable by reading this WebMD article. This factsheet from Colgate will teach you how to brush your teeth properly. 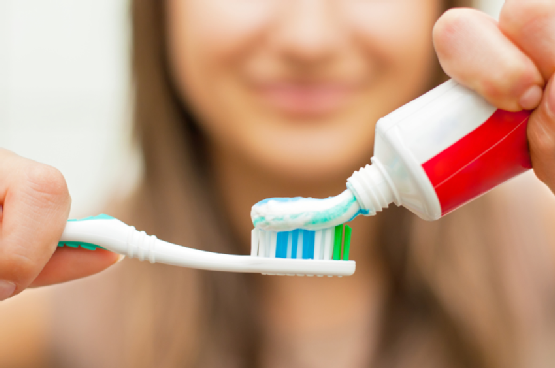 These tips from the Mayo Clinic will help you develop a strong dental care routine . Invisalign is an orthodontic treatment that uses a series of clear, plastic aligner trays to make gradual adjustments to the positioning of your teeth. Your cosmetic dentist uses 3D software to decide where the final position for your tooth placement should be, and then a personalized series of Invisalign trays are produced to help you achieve those results. Invisalign trays can be popped in and out of your mouth at any time. During treatment, you will swap out your Invisalign trays every two weeks. Each tray moves your teeth a little bit closer to the desired position. Your cosmetic dentist will evaluate your progress every six weeks. It can take anywhere from nine to 15 months for your teeth to be shifted to their final position. 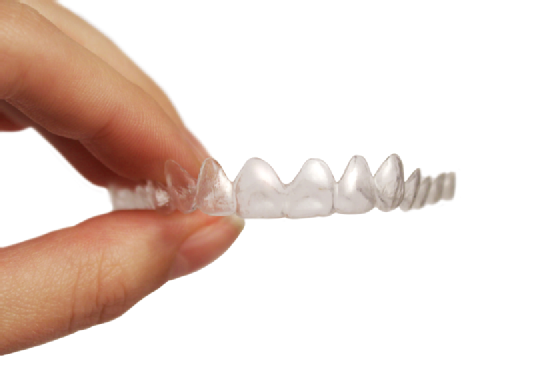 Invisalign treats most of the same conditions that traditional metal braces do. The benefit is that they are nearly invisible, so you don’t have the cosmetic concerns associated with metal braces. Invisalign is great for anyone who needs orthodontic treatment, but they are especially ideal for adults who want straighter teeth without the discomfort of obtrusive metal braces. At Park 56 Dental in New York City, our top cosmetic dentists are happy to help you discover the life-changing benefits of Invisalign treatment. Don’t wait another day to get the smile you deserve. Contact our experienced, compassionate cosmetic dentistry team at (212) 826-2322 today to schedule a consultation. How to Make Sure You Have Strong Teeth! The foundation of a healthy smile is strong teeth. Your teeth have to combat attacks every day from acids and sugars in the foods you eat. Over time, this damage can make them weak and prone to decay. The good news is that you can keep your smile healthy with a few simple tricks. Watch this helpful video to get advice on keeping your teeth strong. You’ll learn the role a balanced diet plays in your dental health and why you should restrict the amount of soda and fruit juice you drink. You will also hear about the importance of flossing twice a day and how chewing a certain kind of sugarless gum can help you turn around your dental health. Don’t settle for a smile that is anything less than perfect. The top dentists at New York City’s Park 56 Dental can help you achieve the beautiful smile you’ve always desired. Call us today at (646) 783-3259 to set up an appointment. Reach for your toothbrush at least twice a day. Brushing after every meal is even better! When you brush your teeth , you sweep away the food and debris that stick to your teeth and cause decay. 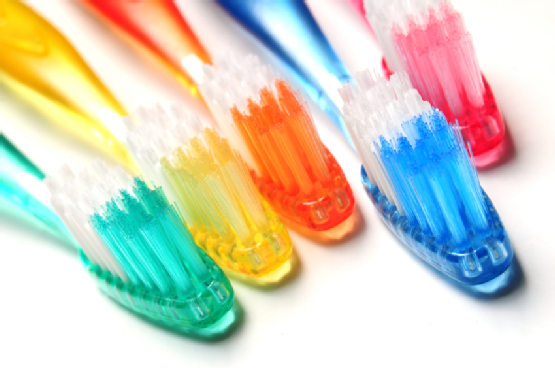 Choose toothpaste with fluoride and an electric toothbrush or soft-bristled manual brush. Hold your brush at a 45-degree angle against your teeth, and move back and forth in short strokes. If you scrub too hard, you may inflame your gums. Replace your brush every three months or when the bristles look worn. Your toothbrush can’t reach between your teeth, so you need to floss to clear out trapped food particles in those areas. Slide the floss in the area between each tooth and gently scrape the sides of the teeth. Waxed floss glides between teeth with ease, and dental picks will do the job if traditional floss is hard to manipulate because of arthritis. Talk to your dentist if you’re having trouble developing a good flossing technique. Talk to your dentist about whether a fluoride or antimicrobial rinse is right for you. These rinses can help strengthen your tooth enamel and kill plaque-causing bacteria in your mouth, but they aren’t right for everyone. Your dentist can help you make a choice about the right rinse for you. For a partner in excellent dental health, turn to Park 56 Dental of NYC. Our compassionate team of top dentists can help you develop good oral hygiene habits and keep your teeth in the best health possible. Our cosmetic dentistry services can correct almost any dental imperfection to give you more confidence in your smile. Call us at (212) 826-2322 to make an appointment and get on the road to great dental health.